Out of stock since Thursday, 7 June 2018. Due back Wednesday, 24 April 2019. Out of stock since Monday, 25 March 2019. Due back Wednesday, 24 April 2019. 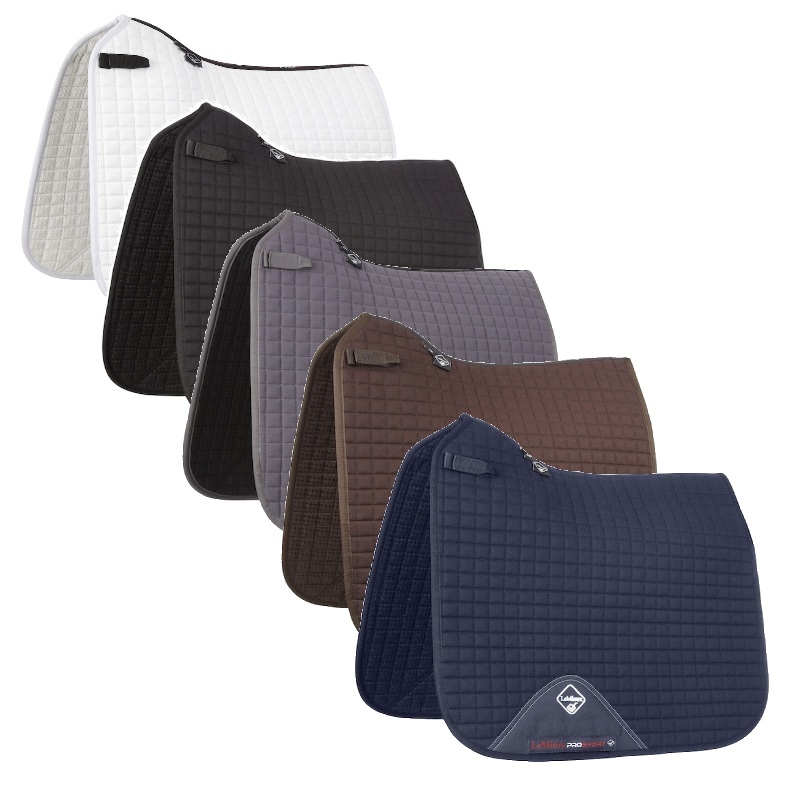 The ProSport D-Ring Dressage Square from LeMieux is a great value item which has a high quality fabric structure which is designed to retain shape by reducing shrinkage. It has a non-slip waffle inner lining which helps to manage heat and sweat with its breathable make up. Each has the familiar LeMieux swan neck and girth protection areas with new locking loops. One version comes with contoured D-Ring straps. Sizes are approx and to be used as a guide only. Below are some recent questions we've received regarding LeMieux ProSport D-Ring/Standard Strap Dressage Square, including answers from our team. what size le mieux dressage square would fit a 17" dressage saddle? The large size is the only square available which is a perfect fit for a 17-18 inch saddle.